Our fabrication and repair facility is well equipped. 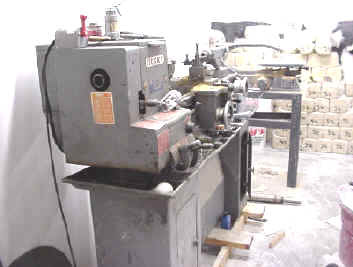 We have a metal lathe for shafting work and repair. In addition to a drill press, we have a milling machine for keyways and slots, and a plasma torch for forms. Our box and pan brake can make transition pieces. Our sand blaster can clean work of slag. The pictured welder can work in both mild steel and stainless. If you need a new extrusion nozzle for your pug mill, we can make it. If you want transition pieces from round to square, call us. 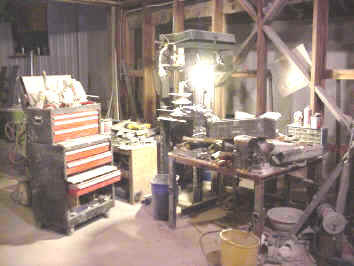 We can build or repair most any metal item in our machine shop. 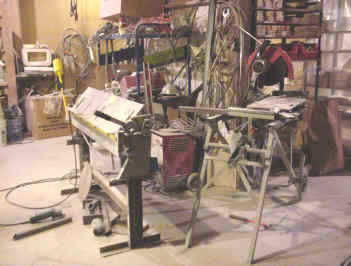 Quotations are at no cost, rates are $60.00/ hour plus materials (minimum charge is $10.00 for a simple repair).